Our true goal is to reach a wide variety of audiences successfully while staying true to the budget line. We have an extensive network of highly experienced professional fellow filmmakers to collaborate with to make our projects standout and be noticed as great works of art as well as solid business ventures. 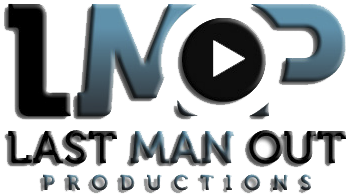 Collectively, potential members of the production team of “Last Man Out Productions” has produced and participated on a variety of television programs, including over 200 hours of network and cable television. We’ve worked on programs such as “The Voice,” “The Apprentice,” “Jersey Shore” and “Curb your Enthusiasm.” In addition, we have collectively participated in over 100 independent films as producers, production management and production support staff. Our expertise covers a variety of areas in the industry. Members of our company have worked as established Writers, award winning Sound Production, Highly respected Camera, Art Department, Post Production and Marketing professionals. We will cover every aspect of Production with the best of the best. We pride ourselves in knowing how to make a project successful and fun. We will do whatever it takes to get it done, and do it right. We are always the last ones on set, hence Last Man Out Productions.